Fly into Cancun and travel about 60 miles south to the beautiful, Riviera Maya. Here you will find some of the world’s best beaches. Soak in the sun and the breath taking views, or get out and explore what the island has to offer. Tour the ancient Mayan Ruins, zip line through lush jungles, or rock repel into an all natural, under water cave. Take a 30 minute ferry ride over to Cozumel, where you can snorkel rare coral reefs. Enjoy the downtown area of Playa del Carmen, where shops, bars, and entertainment are awaiting you. Another favorite is Xcaret, a 250-acre eco-archeological park. Here you can swim with sharks, dolphins, and turtles- the adventure never ends. 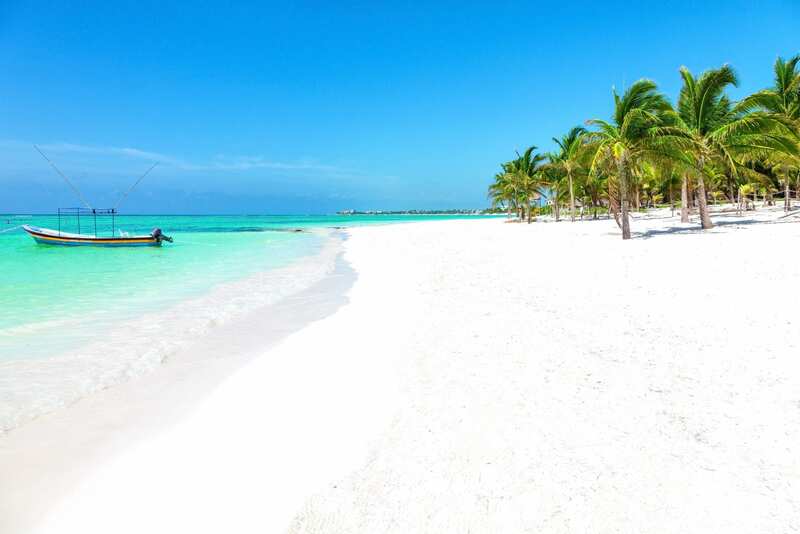 With its powdery, white sand beaches, and crystal clear, turquoise water, the Riviera Maya has become a top destination to travel to!